July is National Ice Cream Month, so that means it's ok to eat ice cream all month long. Really, it is. Here are some tried and tested homemade ice cream recipes we love. You don't need a fancy machine! Did you know that it is very easy to make ice cream at home with out even using an ice cream maker? Yup. 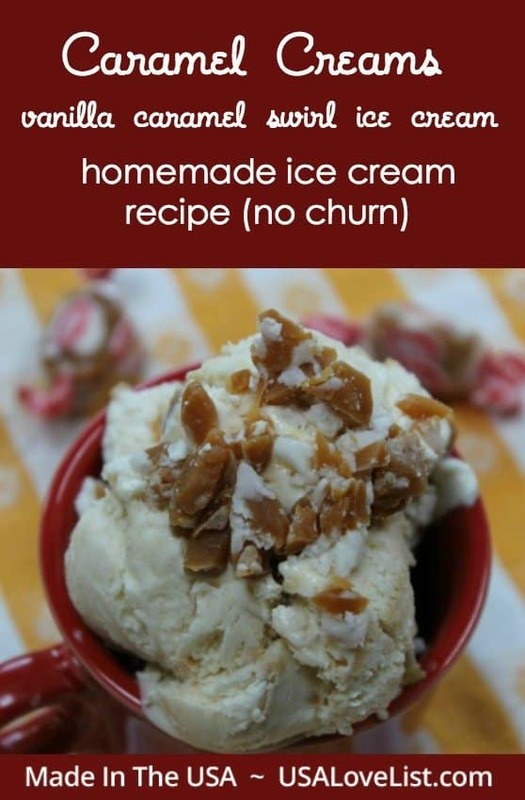 And once you see just how easy it is, and taste just how rich and decadent homemade ice cream is, you will never, ever, ever, eat store bought ice cream again. I will tell you right now, you are definitely going to need to add more exercise to your daily routine to make up for all of the homemade ice cream you are going to be eating from this day forward. 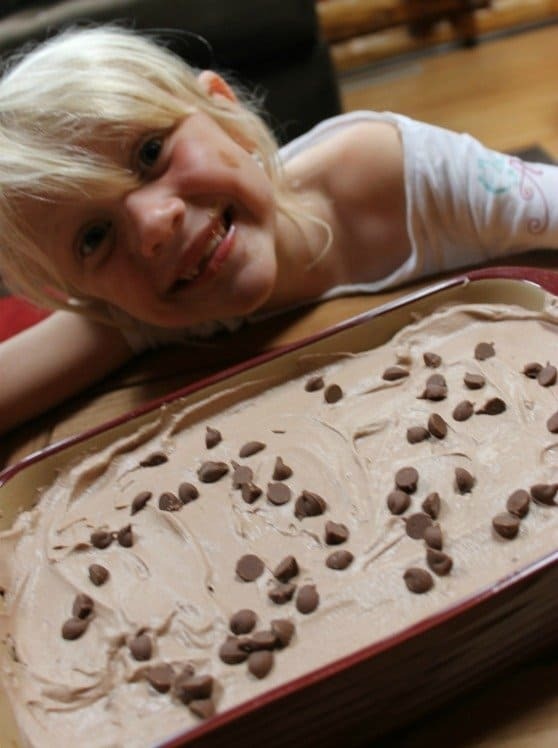 Homemade ice cream is so fun and easy to make, my daughter Sophie loves to help. Actually I think she likes to help so that she can have a say in what ice cream flavors we create. Today we made Caramel Creams Ice Cream, and Chocolate Chocolate Chip Ice Cream (her pick). 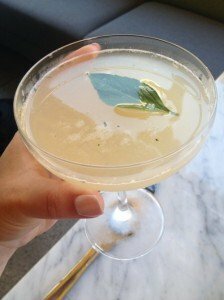 Both recipes are included at the bottom of this post. Here is a photo collage that highlights the American made products that we used when we made the Caramel Creams Ice Cream. 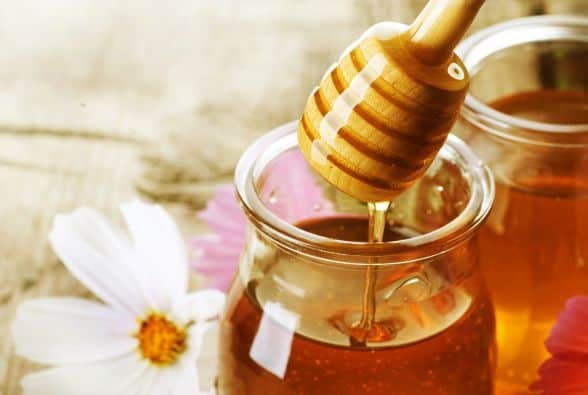 Simply Organic vanilla extract is made in the USA from imported vanilla beans and adds the perfect flavoring to this recipe. The American made Tupperware measuring spoon is easy for Sophie's little hands to hold. Tip: Though the recipe requires only 2 cups of heavy whipping cream, make sure to buy it in the quart size so you can make 2 batches. You will thank me later. I absolutely love Pyrex liquid measuring cups and have them in several sizes and styles. This 2 cup one is vintage. 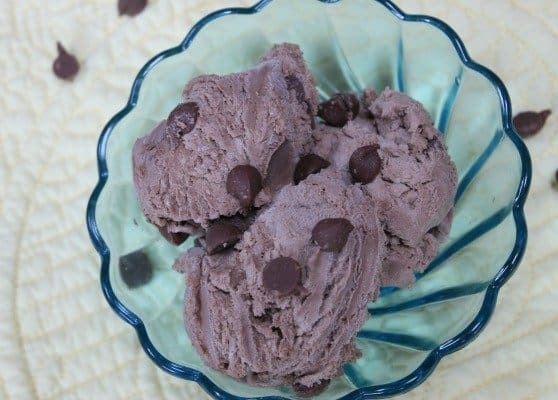 Did I mention that no ice cream machine is used to make this homemade ice cream? 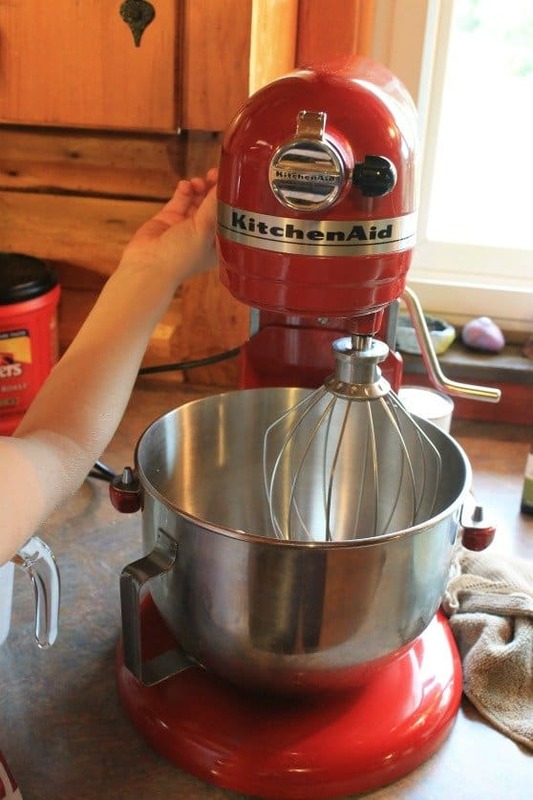 The heavy whipping cream can be mixed in a KitchenAid stand mixer, which is made in Ohio. 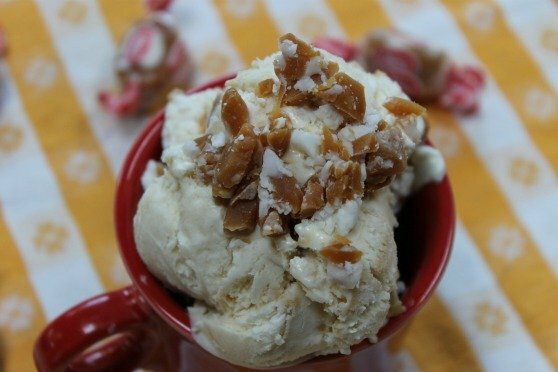 American made Caramel Creams were the inspiration for this ice cream. 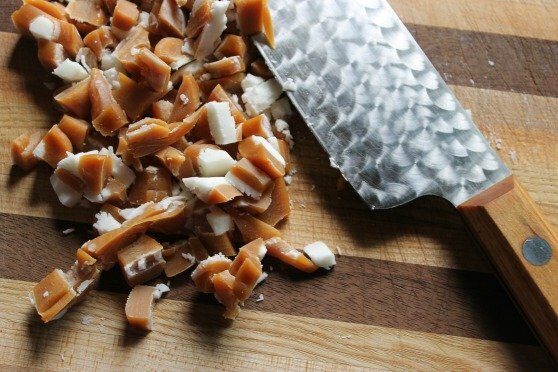 MMM..the caramel sauce we use in this recipe is made from Caramel Creams. 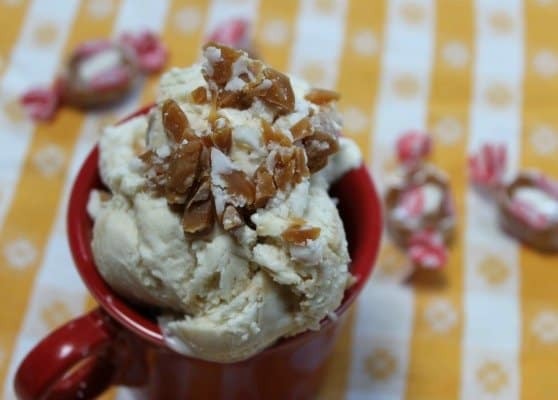 Make sure to save some chopped Caramel Creams to top your ice cream before you devour it! Oh, and isn't that handmade Warther Cutlery chef's knife just gorgeous?! One batch of homemade ice cream fits perfectly in a freezer safe 5 x 9 inch Anchor Hocking Loaf Dish. Doesn't' this just look fabulous?! Look at the chocolate and caramel all over Sophie's face! She is the perfect assistant as she models with the Chocolate Chocolate Chip Ice Cream right before we put it in the freezer. One batch of ice cream fits in a made in the USA Pampered Chef Stoneware Small Rectangular Baker. Though homemade ice cream is quick to put together, it does take at least 6 hours for the cream mixture to freeze, so plan accordingly. Oh, and be prepared for your family to ask you every five minutes if the ice cream is ready yet!! Caramel Creams caramel sauce (recipe here) Tip: I halved the recipe, and Sophie (yeah, Sophie…and my husband, defininely NOT me), ate most of the sauce. Whip heavy cream in the bowl of a stand mixer, or with a hand mixer, until peaks form. In a separate bowl, add the can of sweetened condensed milk, and vanilla. Blend well. 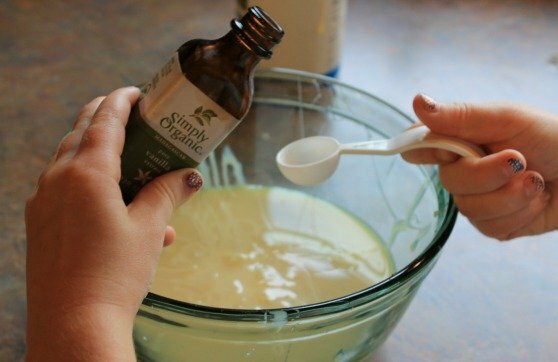 Gently fold the condensed milk/vanilla mixture into the heavy cream a little bit at a time until thoroughly blended. 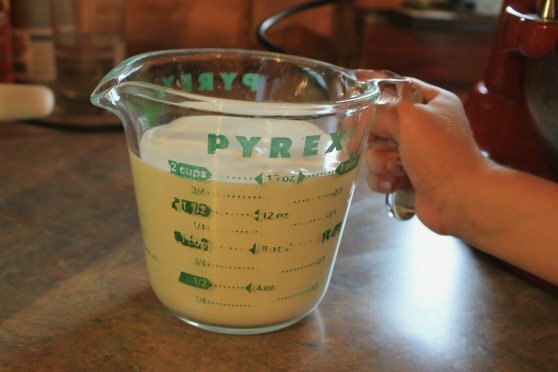 Pour half of the cream mixture into a freezable container. A loaf pan/dish is a perfect size. Drizzle desired amount of caramel sauce over cream mixture, and swirl it with a butter knife gently blending it into the cream mixture. Don't over blend! You still want to see caramel streaks. Add the rest of the cream mixture, and repeat with adding caramel sauce, and gently swirling with the butter knife. 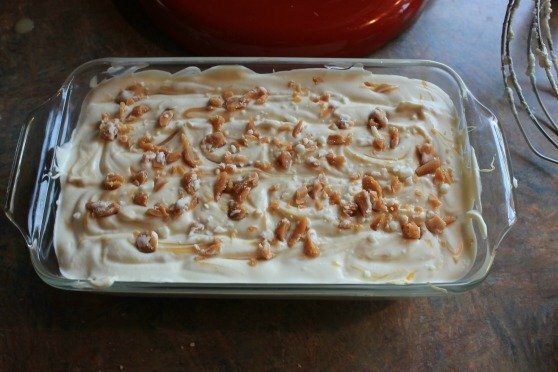 Top with chopped Caramel Creams. Cover with plastic wrap and freeze for up to 6 hours. Whip heavy cream in the bowl of a stand mixer, or with a hand mixer, until peaks form. In a separate bowl, add the can of sweetened condensed milk. Slowly add the chocolate powder, blending as you add it. Blend completely. Gently fold the condensed milk/chocolate mixture into the heavy cream a bit at a time, until thoroughly blended. Fold desired amount of chocolate chips into the cream mixture, saving some for the top. Add chocolate cream mixture to a freezable container. Top with chopped chocolate chips. Cover with plastic wrap and freeze for up to 6 hours. 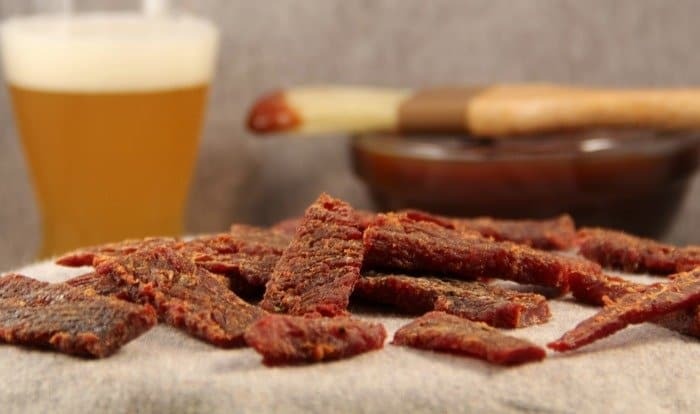 Disclosure: This post is sponsored by, Goetze’s Candy Company, which USA Love List is proud to share with you because, sponsored or not, we only share stuff we love. Follow USA Love List's board Baking Necessities on Pinterest. PreviousDo’s and Don’ts of American Flag Etiquette – Are you doing it right? 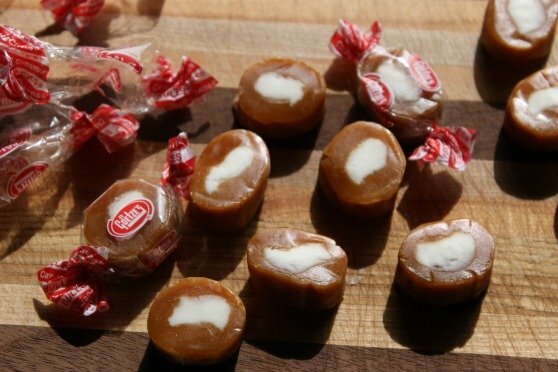 The Caramel Creams looks amazing! These are easy recipes to make! I’ve been making popsicles and have an ice cream maker. 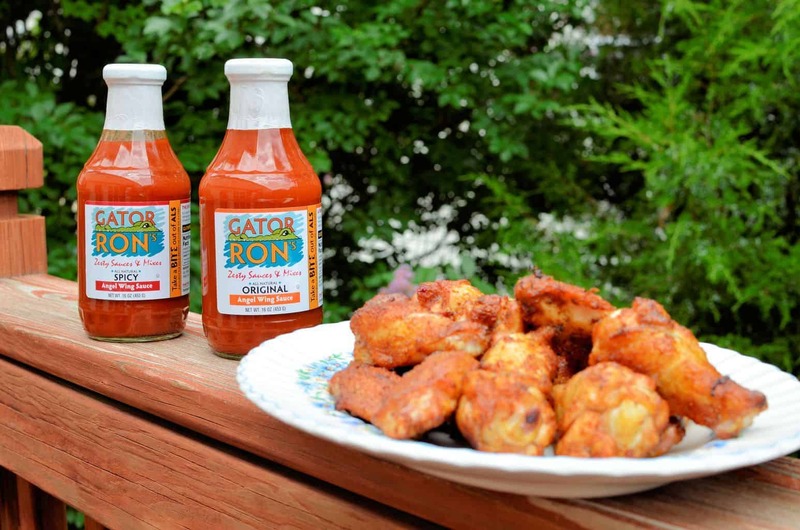 I’d love to try one of these, and good to know the products that are made in the USA to make it!! I remember, as a kid, looking forward to someone making homemade ice cream. But back then, ice cream machines were so small & it was time-consuming, so I love the idea of not needing one! Great recipes. I really like these. I think my favorite variations involve fruits. 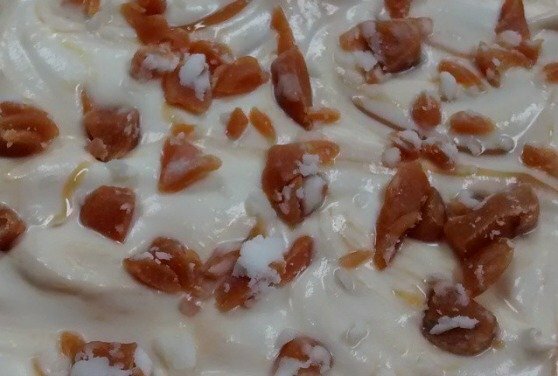 Ice cream is so easy and so good! I really want to try the Caramel Cream. Looks so good! Thanks for the recipes!